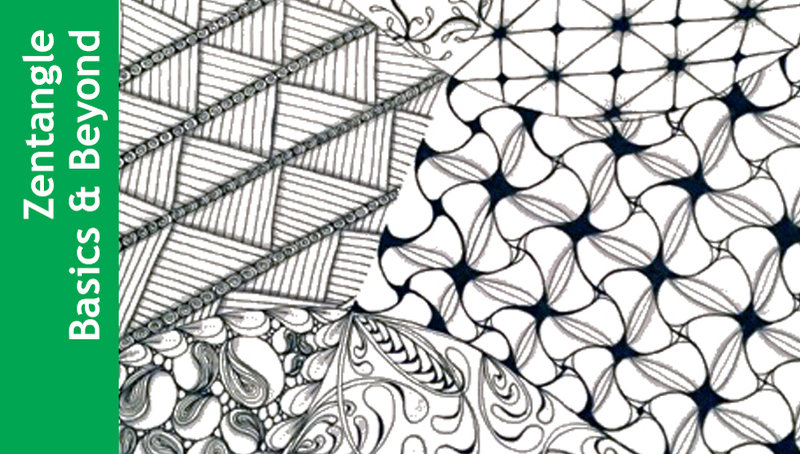 Zentangle® is an easy to learn, relaxing way of drawing repetitive patterns to create beautiful works of art. Anyone can learn this art form by simply drawing one line at a time. In this course the instructor guides students through the method of Zentangle® and teaches several patterns to draw. During each class, students will learn a variety of patterns as well as shading techniques. Each week we will work on your tangling skills to build upon what you have learned with tangle enhancers, taking patterns to the next level, and tangling on a variety ofpapers. Six-week session. Materials fee included.